The one-handed grip wore me out. Seems like everyone's building a Roubo workbench these days. 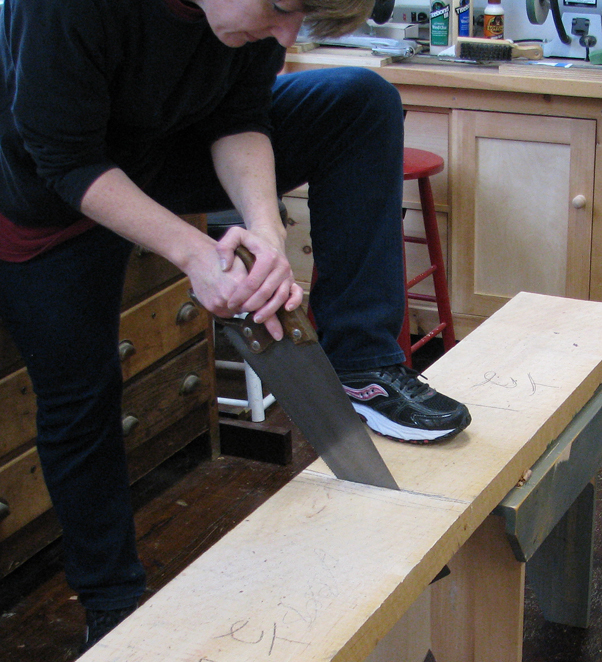 Marc Spagnuolo is even hosting a split-tip Roubo, group-build through his guild. Many folks are blogging about or posting their progress on social networking sites. It's become quite a community-wide activity. I've wanted to build my own bench for 20 years. And like many woodworkers, I've spent lots of time leafing through books and plans trying to settle on the best design. However, as we become more experienced, our interests change and our skill levels improve. The bench you would have built 10 years ago is probably different than the one you'd build today. I had finally decided to build Frank Klausz' workbench. That's when Chris Schwarz came out with his first workbench book. After he wrote his second workbench book, I realized that the Roubo design is the one for me. 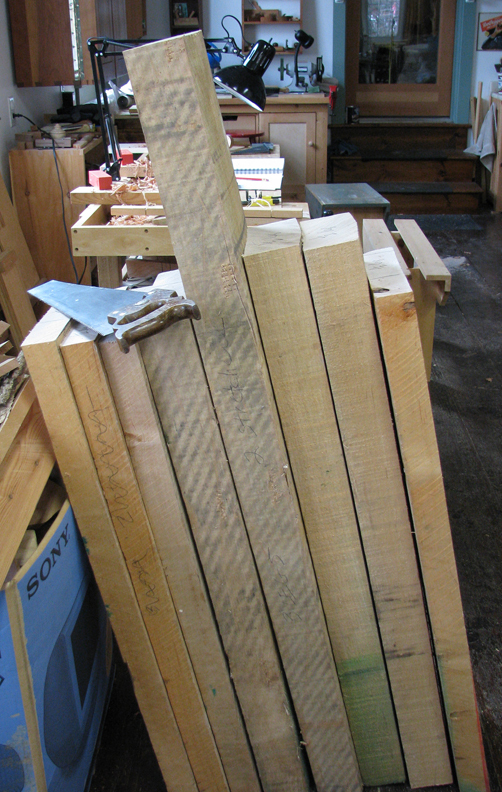 I'm working with 12/4 and 8/4 rough cut timber which requires some amount of handwork. 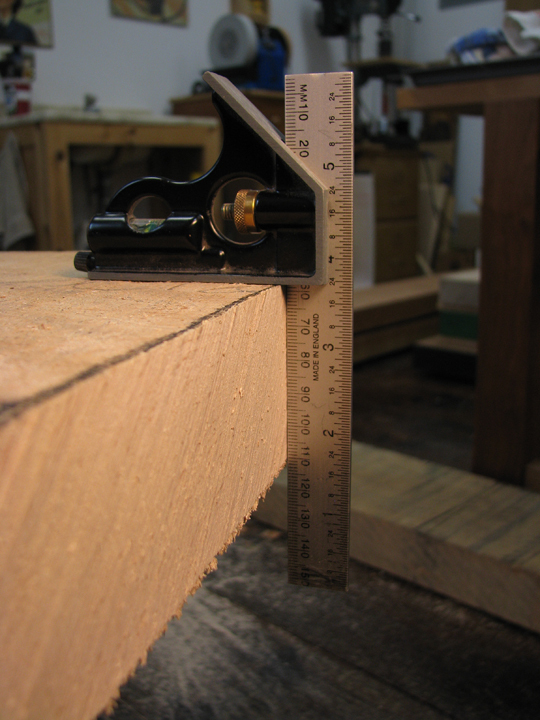 The boards are heavy and long, and it seemed unsafe to cut them to rough length on my sliding compound miter saw. I debated whether or not to use a circular saw thinking my arms would be jelly if I tried to cut all the boards by hand. However, I don't have a lot of wiggle room to waste wood, and handsaws can be very accurate and leave a thin kerf. So, I reached for my most aggressive crosscut saw. By the time I sawed the first board, my arm was indeed jelly. So I took a different approach with the second board. I was a little off on this one. I relaxed, slowed down, used a two-handed grip, concentrated my strength on the down stroke, slid the blade gently on the up stroke, and breathed evenly and deliberately. It actually became a pleasant task. I sawed all the boards to rough length and wasn't the least bit tired. 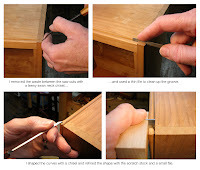 This storage box is based on an antique, the original of which has dovetailed corners and a drawer pull to make the stackable boxes easier to pull down from a shelf. 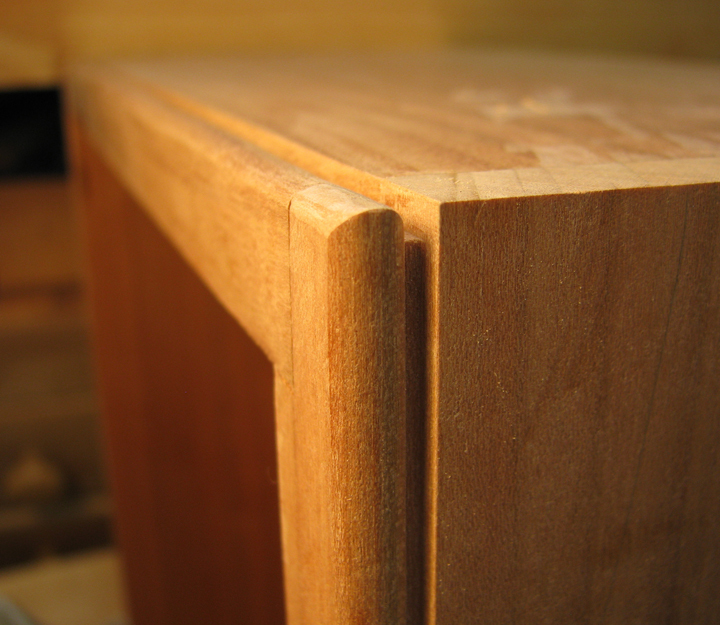 I simplified the design by using rabbeted corners and omitting the drawer pull. 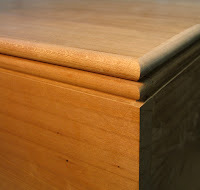 However, I kept the beads at the top and bottom of each side board, and along the edge of the lid. 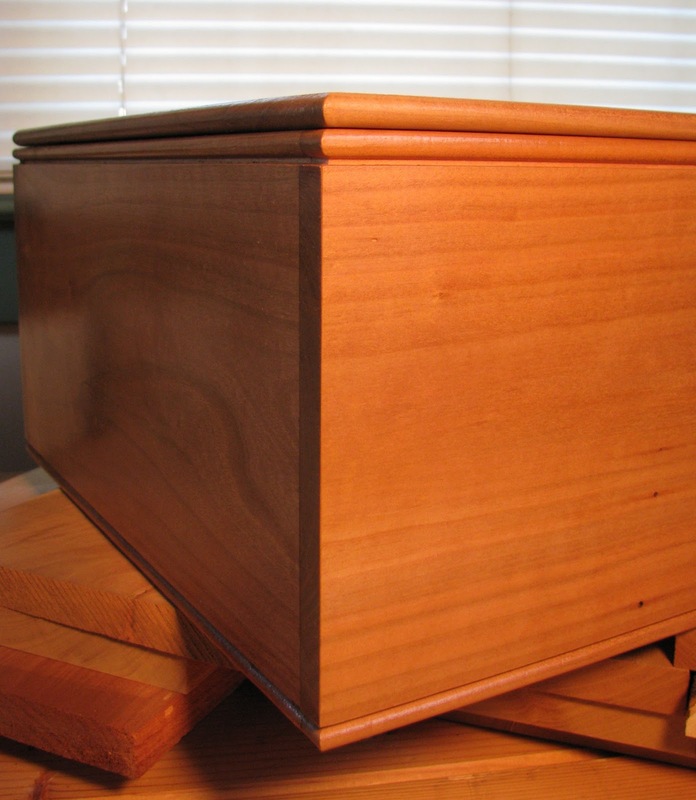 The bottom boards are beveled and slid into grooves, and the lid is rabbeted and fitted to the inside dimensions of the box. The outer dimensions of the box, not including the lid, are 15" x 13" x 6.5". 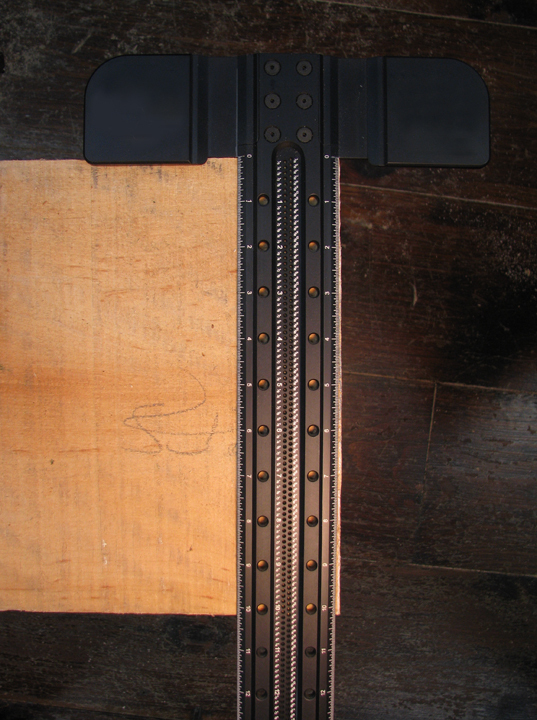 The boards are a little thinner than 3/4" thick, and the beads are approximately 3/8". 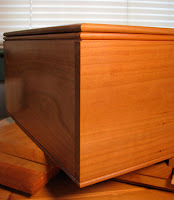 On all surfaces, there are 8 coats of blonde shellac rubbed smooth with 0000 steel wool, and a coat of dark paste wax on the outside surfaces. I had planned to drive some antique nails into the corners for appearance and to reinforce the structure, but I just can't bring myself to pound nails into that gorgeous Pennsylvania cherry. You can't get much more basic than this design, but wood has a way of making even simple projects attractive. 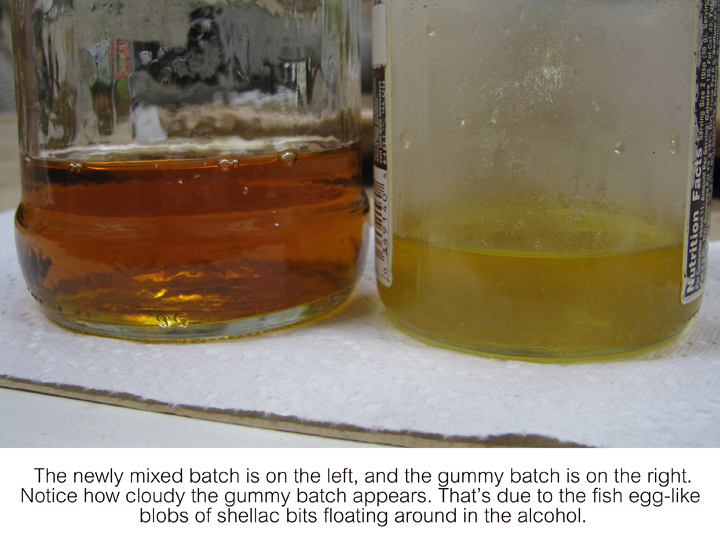 I had encountered shellac gone bad before, but I had never come across shellac that won't dissolve completely in denatured alcohol. 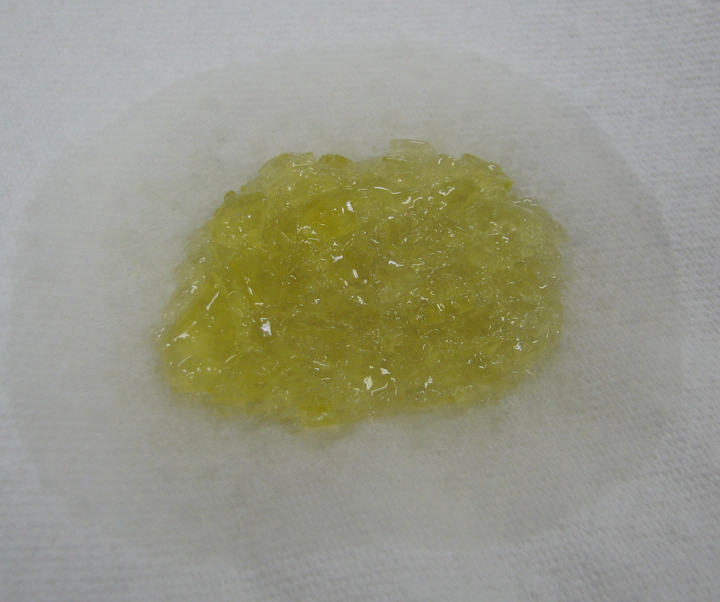 I mixed up a batch of blonde shellac but, days later, it looked like semi-masticated lemon jello rather than clear finish. 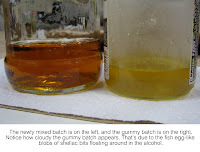 I mixed another batch using amber flakes to see if the alcohol was the problem, but they dissolved completely in an hour. I had used flakes from the blonde bag before. I couldn't understand why they would have gone bad because they were always stored in a cool, dry shop. A quick google search led me to a blog post written by Joel Moskowitz, so I emailed him to ask his opinion. He told me that the flakes had oxidized and that they should have been stored in an air-tight container (rather than in the original plastic zip-loc bag). He also suggested that I try pulverizing the flakes, but I had already tried that and it didn't seem to help. Today I bought a brand new bag of blonde flakes and immediately poured the contents into a glass jar with screw-on lid. So, if after 24 hours your newly mixed batch of shellac still looks like gatorade-doused caviar, you know what to do. There are things at which it excels, such as getting into places that a router can't reach. 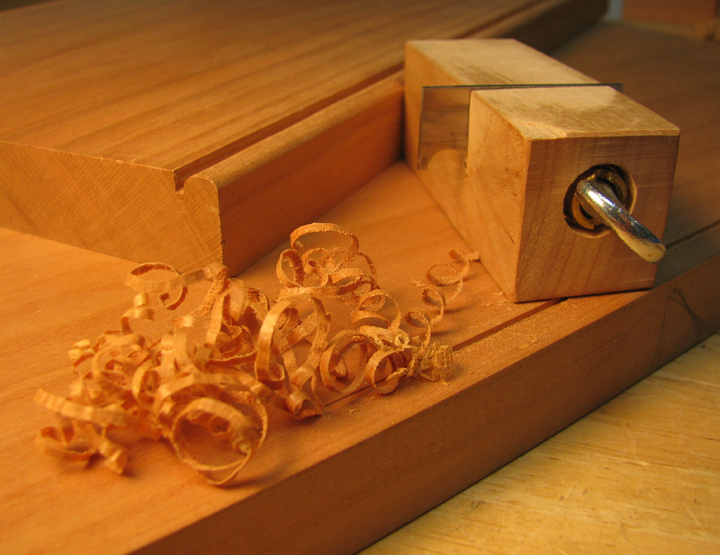 Scratch stock also enables you to create your own profiles and saves you from having to buy expensive router bits. In some instances, however, scratch stock falls short. 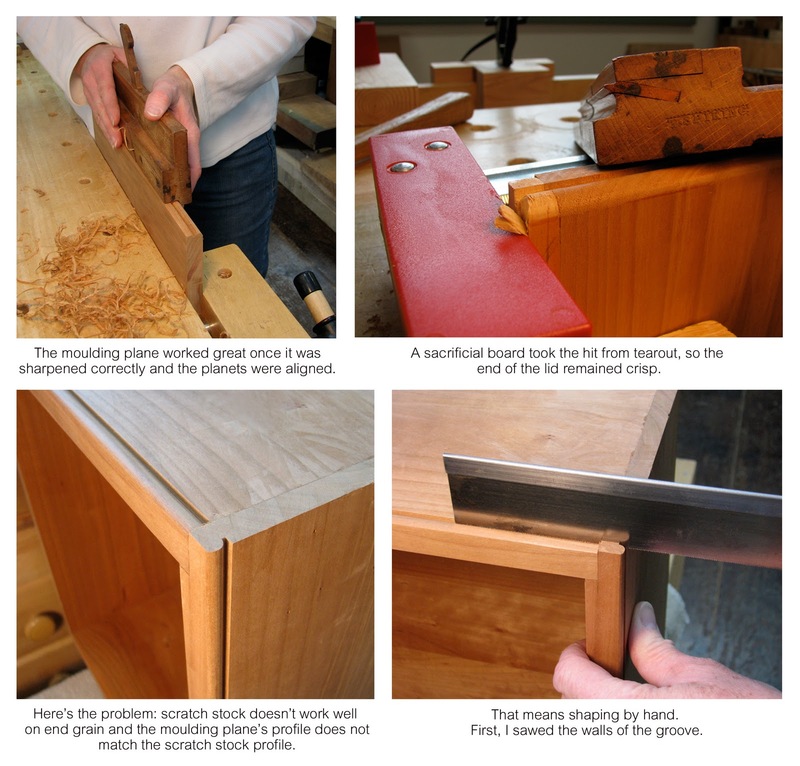 If you need a really large profile, for example, scratch stock is not going to work as well as moulding planes or router bits. And endgrain. Scratch stock and endgrain do not play nicely together. 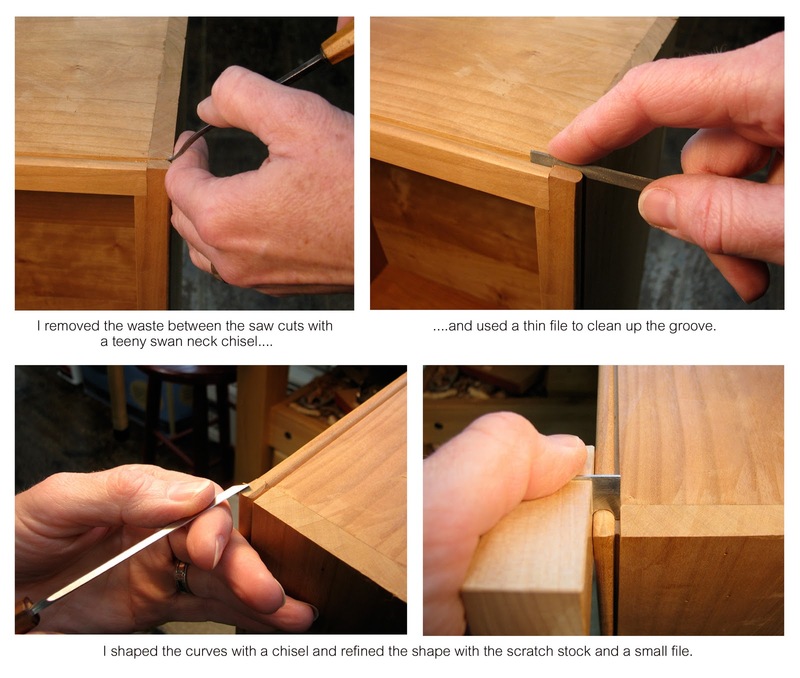 When I first started making this storage box, I made a scratch stock for the bead because my moulding plane was being fussy. The scratch stock worked great until I glued up the box and tried to finish the profile on the short pieces of endgrain. It was like trying to push a St. Bernard through a cat door. Backwards. 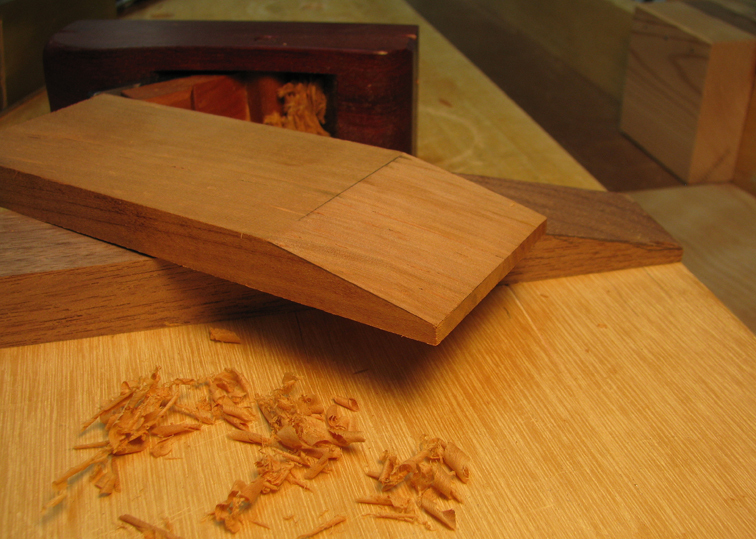 Endgrain moulding shaped by hand. That's when I glanced at the box's lid which required the same profile and is a solid piece of wood. Meaning, two long edges are endgrain. Back to the moulding plane. I spent more time sharpening the blade and was finally able to unfussy it. It performed splendidly on the endgrain of the lid. However, I wasn't able to use it on the small bits of endgrain on the boxes because the scratch stock profile was a bit smaller than the moulding plane—they didn't match. That meant the endgrain needed to be shaped by hand. larger than the box's profile. A few moments with a gent's saw, chisel, and file, and the profiles matched up pretty well. 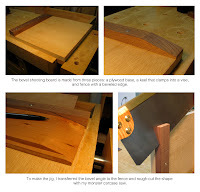 Next is planing the box's sides and adding a finish. Then building two more boxes. Without making the same mistakes. I took a break from more involved projects to make a quick storage box. 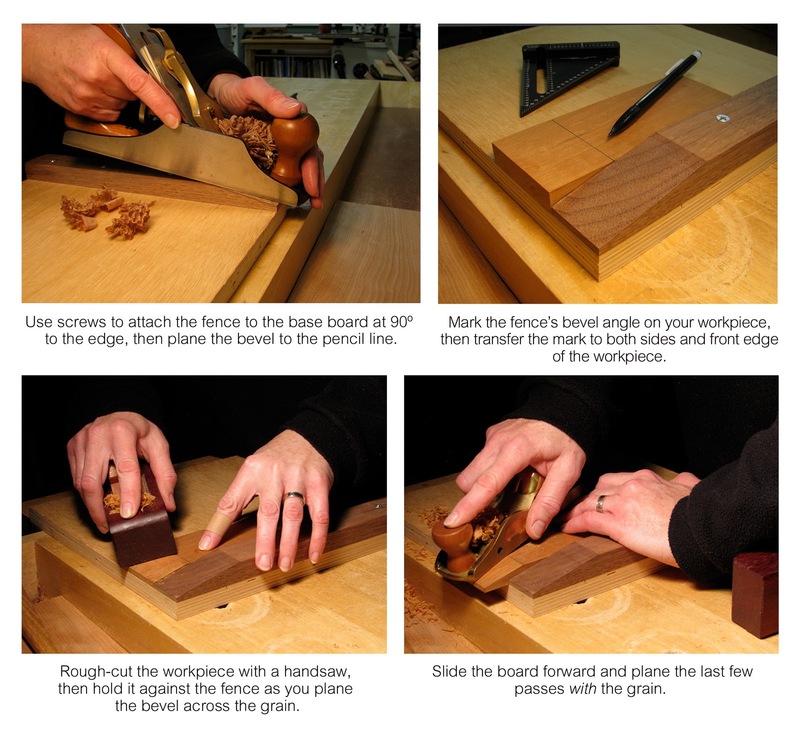 "Quick" turned into "Unnecessarily Complex"—a phenomenon that all woodworkers can relate to. For example, I added quirk bead moulding along the edges with scratch stock (and had to make the scratch stock first). And rather than glue up four thin boards as a solid piece for the bottom, I decided to shiplap and bevel the individual boards. The four separate boards look okay inside the box, but the bottom looks a little odd. Either one glued-up, beveled board or two sets of beveled boards with shiplap would have looked nicer. 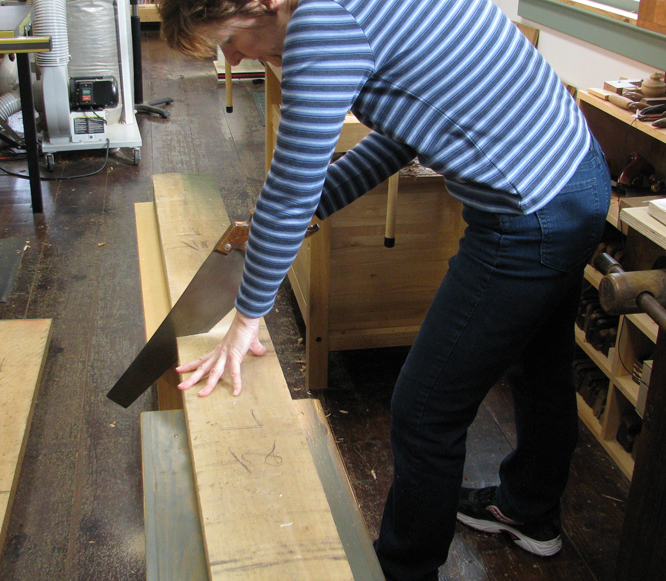 Finding a way to hold each board securely while planing the bevels was tricky. So, when I finished the boards for this box, I decided to build a shooting board so that the next storage box will move along more quickly (in theory). There is nothing fancy or clever about my shooting board. It's comprised of three pieces: plywood for the base, scrap for the cleat, and squared-up piece of hardwood with bevel for the fence. I used one of the boards that I had already beveled as a template for the fence. 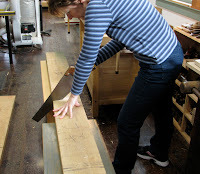 Then I used a carcase saw to remove the majority of the waste from the bevel. I attached the fence to the baseboard with screws, and used a handplane to finish the bevel. To use the jig, lay your workpiece alongside the fence with the ends aligned, and mark the bevel with a pencil. Transfer the marks to the top, sides, and front edge of the workpiece so you can easily see the waste area. 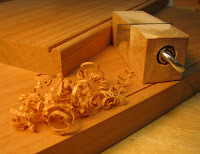 Use a handsaw to remove the bulk of the waste, then push the workpiece against the fence, and plane across the grain until you are close to your pencil marks. At this point, slide the workpiece forward and plane with the grain until you reach your pencil marks.